We’d like to note that Instagram doesn’t support RSS feeds by default, so we’ve had to find other third-party services to generate RSS feeds for pages. IMPORTANT: First test your RSS feeds on our demo sites to ensure that they perform to your standard. That being said, WP RSS Aggregator will be able to import RSS feeds available for Instagram following the steps below. Find your Instagram username or the username of an Instagram account that you’d like to add to the feed. You’ll see an XML document appear in your browser window. 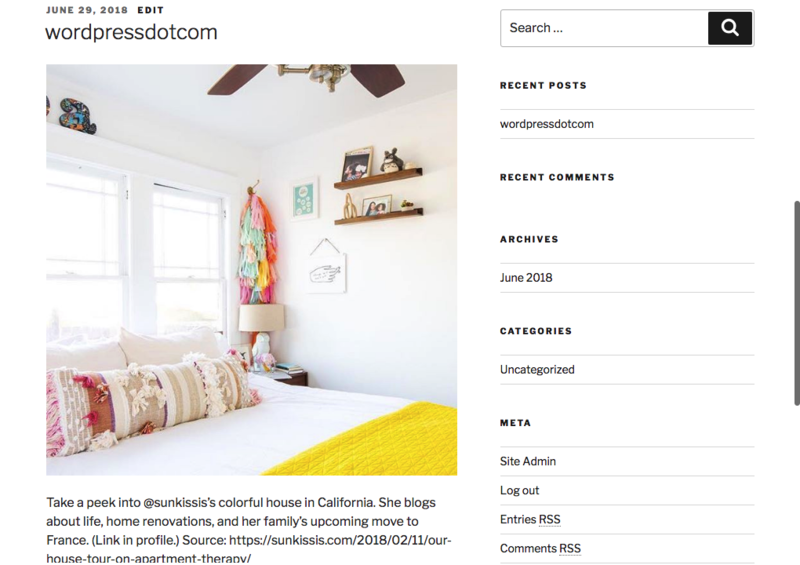 Head over to http://widget.stagram.com/rss/n/USERNAME, with the URL of the specified Instagram page where it says “USERNAME”, and open the XML feed from the link provided. Once you click on the “Fetch RSS” button you’ll be taken to the XML feed, as shown below. From here, copy the URL. Head over to http://widget.stagram.com/rss/n/USERNAME, with the URL of the specified Instagram page where it says “USERNAME” and open the XML feed from the link provided.